Curb is a 100% natural potent appetite suppressant. Taken as a daily dietary supplement Curb works by suppressing appetite and hunger pangs to help aid in fat and weight loss goals. Users report marked decrease in hunger, feelings of fullness from meals, and less craving for sugary and fatty foods. All natural Curb is an effective diet pill that when combined with a healthy diet helps you to lose weight, take in fewer calories, and curb your appetite. Controlling appetite is key to success in any weight loss campaign. Eating sugary and fatty foods over time not only leads to fat deposition but also will create powerful cravings for foods that will derail your diet. When the body and brain have been programmed to receive their energy supply via fast food and sodas the brains chemical signals are altered regarding appetite and specifically appetite control. As these food sources are processed extremely quickly in the body they do not last long and the body soon has to replenish its supply, leaving you feeling continually hungry and eating far more calories each day than you should. The result of not eating healthy is increased weight, and increased body and belly fat. Q. Does Curb have any side effects? A. Curb has none of the side effects of diet medications and prescriptions at fraction of the price. All of the ingredients are FDA GRAS or generally recognized as safe and do not interact with other medications. A. Most users report appetite suppressing effects immediately. Q. Does Curb work for everyone? A. Curb is formulated for men and women, and should not be taken by children. Results from using Curb vary but typically reflect the positive results of appetite suppression. Q. How long does my order take to process and ship to me? A. Curb orders are processed within 24 hrs. and ship the following day. All orders are shipped first class USPS and arrive within 2 to 4 days. Curb is, formulated specifically to help fight hunger cravings throughout the day without the harmful effects of many stimulant diet pills. Curb works with your body to help you feel full and satisfied while dieting, its ingredients working in synergy to create the proper environment for you to achieve your weight loss goals. Try a bottle of Curb today! If you opt for prescribed suppressants, however, medical experts advise that you follow your physician’s advice carefully; in addition, most encourage a plan to alter your eating habits. The pills work. Now, too, there are other medically-developed and FDA-approved diet pills available. With various ingredients and guarantees, they also work, but they are not a long-term solution. Used properly, though, most experts agree they can offer an alternative to surgery or other extreme measures if used for a period not to exceed eight to ten weeks. Again, they should be used only in conjunction with a plan to alter eating habits. Usually the dosage is for no more than three pills a day, taken one hour prior to meals, and on an empty stomach. Attaining a healthy weight and maintaining it may not be the easiest goal to accomplish, but it is one of the most important gifts you can give yourself. Losing weight, changing your habits, getting to know your body and the way it works, and then resolving to maintain a healthy all-around lifestyle pays benefits in terms of health, energy, self-esteem and longevity. The way to lifetime health begins with small changes. Remember that you are seeking a lifestyle change that should last forever. Adopting proper eating habits does not mean you have to forego favorite foods; nor should you deprive yourself of an occasional treat. Making changes for increased health, however, requires that you adhere to a few simple principles. In summary, here are 10 ways to suppress your appetite naturally and easily. Adopt them now, and you will find yourself embarking on a swift journey to a better future, and a continuing healthy, active, satisfying life. Eating well, promoting health and maintaining a healthy weight should not be restrictive. Popular reliance on fast foods with calorie-heavy, large portions, take-out meals consumed in haste, convenience foods, and highly-processed foods have contributed to the current crisis of obesity. That pattern also has produced a generation of consumers who do not have the knowledge or the tools to process, prepare and appreciate their own home-grown foods and traditional recipes. You can change that. Good nutrition makes good sense. Regulating appetite the natural way is not complicated, and it’s not a gimmick. When most people here the word "anorectic" or " anorexigenic" it makes them think of anorexia, which is the process of starving yourself and typically contains negative connotations. However in the weight loss and fitness communities it is important to under stand the value that anorectic ingredients have to promote weight loss. Food is something we all crave however some people struggle with obesity or over eating. In fact according to the CDC's website More than one-third of U.S. adults (35.7%) are obese. The crazy thing about obesity is that it is one one the leading causes of illnesses in the United States including: high blood pressure, osteoarthritis, sleep apnea, diabetes, metabolic syndrome, and heart disease. 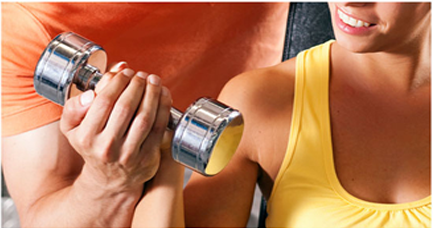 Getting in shape and losing weight is extremely beneficial physically and psychologically. Curb's natural anorectic ingredients like yerba mate, green tea, garcinia cambogia, hoodia, and gentian offer some relief to hunger pains and stimulate better appetite control. Saffron Extract and other anorectics work by boosting your natural serotonin production. Serotonin has been shown in multiple studies to be a major factor in appetite control. When serotonin levels are raised the 5-HT receptor causes enhanced satiety and thus causing a decrease in desire for food. Saffron and other serotonin boosters have been widely touted as a "miracle appetite suppressant" and as the top natural anorectic to reduce hunger cravings. Along with proper diet and exercise, Choosing a natural appetite suppressant is an effective to curb hunger cravings while your body begins to adjust to your new diet and activity level. Nothing kills dieting faster than hunger cravings for sugary and fatty foods. Even if you have increased your activity level and are eating the appropriate amount of food each day, ensuring that they are the right foods is made easier by eliminating the urge to eat your comfort foods. Fast food, ice cream, chocolate, whatever it is that you turn to when you feel compelled to eat by an outside factor such as stress or anxiety, VH Nutrition's Curb is an ally in your weight loss process. Today, there are numerous options available for those who are interested in controlling their appetite, whether by choice or out of necessity. Scientific studies have confirmed common sense; most people are able to count the ways in which they overeat, and the emotional or physical reasons for such behavior. Winning the battle against overeating sometimes calls for multiple “attacks,” and the arsenal of weapons to help you eat less includes prescribed appetite suppressants as well as natural suppressants, and popular “quick-fix” diet regimens. Unless under the supervision of a physician who recommends a prescribed suppressant for medical reasons, it may be just as effective, and certainly better for you in the long term, to take stock of your current eating habits. Assessing the whole foods, herbal products and natural supplements that may be employed to decrease or eliminate food cravings will help you alter your eating habits for the better, and will ultimately help you meet weight loss goals.If quick weight loss is your goal, there are many popular fad diets that can, indeed, promote weight loss, but most do nothing to change the primary culprit of overweight and obesity, and can have unwanted and dangerous effects on health as well. Some of the best current diet trends, though, promote a change to more nutritious and natural ways of eating, and emphasize health over weight loss. What are commonly known as appetite suppressants, often come under criticism in drug and supplement form. Sources in the medical profession, as well as other skeptics can be harsh on these synthetic, artificial, and otherwise unnatural versions. Conversely, however, there are numerous natural ways of suppressing one's appetite that do not possess such harmful side effects, if any at all. While these natural anorectics come without as much risk, they do not always produce the dramatic appetite suppressing effects that synthetic drugs do. Nonetheless, these natural options offer a more constructive approach that can reap valuable weight loss benefits. While not the most delectable option, cayenne pepper can produce some serious anorectic effects when ingested. For instance, studies have shown that the spicy pepper can speed up metabolism and reduce hunger cravings. What's more, research has also shown that cayenne pepper, when mixed with other natural appetite suppressors like various kinds of tea, can produce more noticeable degrees of hunger suppression and feelings of fullness. Cayenne pepper can be ingested in a number of forms, including fresh and cooked powder, as well as supplement form. In powder form, cayenne can be mixed into beverages or added to food dishes for an extra spicy kick. Like the aforementioned, green tea can be a very powerful natural anorectic, curbing hunger and creating a sense of lasting fullness. In addition, the mildly caffeinated tea also works as a natural diuretic, more rapidly eliminating toxins and waste from the body, subsequently speeding up metabolism and creating an opportunity for weight loss. Believe it or not dark chocolate can act as an appetite suppressant. Studies performed in Europe have shown that women that either ate or smelled dark chocolate consumed less food afterward. Additionally, dark chocolate is widely considered the healthiest form of chocolate as it has the most antioxidants and maintains less sugar than most other kinds. Licorice, as many people know it, is made from dried licorice root, This root contains some serious weight loss properties, including the ability to reduce levels of the hormone aldosterone, which can cause the body to retain water and sodium. Furthermore, studies have shown that ingesting licorice root can lower body fat and weight, along with LDL levels. For years, decades even, people have been saying that eating a substantial breakfast is the best way to curb hunger. There is a lot of truth to this statement as the breakfast food, eggs, have shown in studies to reduce food consumption throughout the rest of the day. Water – Drinking a single, large glass of plain water prior to a meal will help fill your stomach without adding calories. Herbs – Adding flavor through natural ingredients and spice not only makes foods tasty and appealing, but contributes to appetite suppression. Green tea – The anti-oxidants are beneficial for disease prevention and help alleviate inflammation. Fiber-rich Foods – Fiber not only fills your stomach, but also aids the proper functioning of the digestive system. Apple Cider Vinegar – Adding a teaspoon to a glass of pre-dinner water 30 minutes before eating, or adding a little to salad dressing to reap the benefits of “grandpa’s remedy” is a time-tested way to suppress appetite and to aid digestion. With concerted effort, you can easily increase your consumption of “heavy foods” which will satisfy your hunger pangs and, more importantly, meet your nutritional needs and contribute to overall increased health and energy. Many of these foods are also thought to prevent disease and other undesirable medical conditions, an added bonus. Consuming rye and sourdough breads instead of those made with highly-processed white flour; whole grains, legumes, chickpeas, lentils and lots of vegetables is recommended. Meat and game are also considered heavy foods, and they supply needed protein, but should be consumed in moderation by those seeking weight loss. Eating slowly is a game plan for learning to “listen to your body,” because it not only promotes the enjoyment of food, but allows you to taste flavors more fully and to stop eating before becoming overfull. Nutritionists and weight loss professionals caution people to “eat for a good reason.” Hunger, of course, is the best reason to eat. It is a well-known fact that human beings eat more on weekends; likewise, many people eat out of boredom or because of depression. TV snacking is a well-documented saboteur of weight loss. Also, consuming food has become a prime component of most social gatherings, and people tend to overeat (and also to drink to excess) because of social interaction. It’s the “Thanksgiving Dinner” syndrome. Party-food is also notoriously delicious, and full of calories, fats and sweets which are best left alone. Experts advise keeping emotions and nutrition separate; they also advise charting a personal course in order to safely navigate the “dangerous waters” of holidays and family celebrations. Nutrition counselors also recommend keeping a personal food journal for a week or two so that you can learn your own habits. Knowing when and why you gravitate to food is an important tool if you wish to change detrimental behavior. Appetite suppression may depend not only on the actual foods you eat, but also the form of the food consumed. For example, apples may be one of the top 10 choices for suppressing appetite, but only if consumed whole and raw. While the calorie count may be the same, the difference between a whole apple, applesauce and apple juice is very telling in terms of time to consume and the relative feeling of satiation, or the sense of feeling full, that each produces in the body. Because a raw apple takes longer to consume, and the brain has a chance to process the act of filling the stomach, it becomes the best choice. Recent research has shown that chewing an apple produces a Hormone GLP-1; it signals the brain when a person has eaten enough. In general, foods that require chewing are better for you in terms of controlling appetite than soft foods, and liquids tend to allow a person to consume more “empty” calories before feeling full. Interestingly, strong-smelling foods can reduce appetite. Part of the explanation may stem from the simple sensory pleasure the spices produce, but certain foods – red peppers, in particular, produce capsaicin, a strong flavor which burns fat at the same time. In addition, capsaicin increases stamina. Try sprinkling chopped fresh pepper on top of other food to see if it might work for you. Additional foods in a healthful diet plan include beans, avocados, eggs, celery, nuts, potatoes, fish and tofu. Many traditional Eastern and Oriental spices and seasonings, as well, are cited in research as having compound benefits in the modern diet, and are known to aid digestion, inhibit overeating, and add a new dimension to taste. These “wonder” spices can be a new taste dimension to perk up traditional foods: Try cayenne pepper, cinnamon, wasabi and ginger root to banish the bland from your diet. Losing weight is all about smart dieting and consistent exercise. Restricting your calories each day and getting your body moving are essential components to any successful weight loss program, but there is a third component that can improve results by helping you to eliminate the cravings for unhealthy foods. This ally to your weight loss process is a natural appetite suppressant. While hunger is a real physical need for the body to consume food, appetite is purely psychological. Appetite is created through habits and certain bio feedback mechanisms in the body. For example if you salivate, or have a rumbling stomach you will often want to eat. Seeing food advertisements on TV or in magazines can trigger appetite, and lack of control over your appetite can result in diet failure. The reason most people fail to reach their weight loss goals or give up after only a few weeks is that they end up "cheating" on their diet. Cravings for sugary and fatty foods during a diet are common as the body is used to consuming these types of high calorie foods and wants to stay with what it knows. Curb works to stop theses cravings and reduces your appetite so you can be successful. Why Use Curb Instead of Prescription Anorexigenics Like Phentermine? So why use a product like Curb when there are effective prescription products like Phentermine on the market? The reason is simple; side effects. Phentermine is very helpful for weight loss, a little too helpful most of the time in fact. Many users report that they don't eat at all while using prescription products, and this causes short term weight loss results to be dramatic and long term results to be problematic. When the body doesn't receive adequate nutrition it goes into a "starvation"mode, and the metabolism slows dramatically to hold onto every calorie in the body it can. Unfortunately most of these stored calories are in the form of body fat, and your weight loss will grind to a halt. Curb is a natural anorectic and is effective in that it works with your body to regulate appetite and control cravings. Rather than overpower the central nervous system with potent stimulants, these natural products control cravings while still allowing for normal caloric intake instep with dieting guidelines. Essentially you will still eat, just have fewer cravings for sugary or fatty foods, reducing the chances of a failing at your diet. Garcinia Cambogia: is also known as Brindleberry. An Indonesian plant that bears a yellowish fruit whose interior is very high in Hydroxy Citric Acid or HCA- a potent natural fat metabolizer and appetite suppressant. Hoodia Gordonii: is a succulent plant found in African that has been used by many African tribes for centuries as a way to control hunger. Used on long hunting trips when food and resources are scarce, many native users of Hoodia report feeling full for an extended period of time, long after a small meal has been digested. African Mango: has an action similar to Hoodia Gordonii- it works to slow digestion down and leads to a feeling of fullness that can lasts for many hours after a meal has been consumed. Proponents of this fruit claim that using African mango can cause an increase in overall nutrient absorption due to the reduction in digestive speed. Kola Nut works as a stimulant similar in nature to caffeine, and grows in the jungle and rainforests of East and West Africa. The Kola nut contains a bitter taste and is usually consumed in powdered form. Kola nut has been shown to aid in fat metabolism and can fight depression and improve stamina. Yerba Mate is native to South America, and its leaves are dried and often used to make tea. The Yerba Mate extract is used to increase energy and stamina, fight water retention. Theobromine is the active ingredient found in chocolate that produces the happiness and stimulation that often accompanies consuming cocoa products. Theobomine is a natural compound related to caffeine, though it is much milder in its effect with fewer side effects, making it a welcome addition to many weight loss formulas. These natural ingredients each fall into one of three main categories related to weight loss as a whole. Compounds that create satiety by making the user "feel full", compounds that work to metabolize fat, and ones that stimulate the nervous system. Many natural appetite suppressants will contain one or more of these ingredients in a matrix to deliver maximum results from all three of these areas. From the list above; theobromine, yerba mate, and kola nut are all mild stimulants. They make the user feel energized and can increase stamina to get through the day on a calorie restricted diet. Garcinia Cambogia falls into the fat metabolizing category, as its active ingredient HCA has been shown in clinical studies to improve fat metabolism. Lastly Hoodia Gordonii and African Mango stop hunger cravings by coating or lining the stomach, signaling the brain that the stomach is full. When starting your next diet and exercise routine, be sure to include a natural appetite suppressant like Curb into your plan, minimizing your cravings will help you on the road to long term success. Fiore C, Eisenhut M, Ragazzi E, Zanchin G, Armanini D. A history of the therapeutic use of liquorice in Europe. J Ethnopharmacol. 2005;99(3):317-24. Fuhrman B, Volkova N, Kaplan M, et al. Antiatherosclerotic effects of licorice extract supplementation on hypercholesterolemic patients: increased resistance of LDL to atherogenic modifications, reduced plasma lipid levels, and decreased systolic blood pressure. Nutrition. 2002;18(3):268-273. Madisch A, Holtmann G, Mayr G, et al. Treatment of functional dyspepsia with a herbal preparation. A double-blind, randomized, placebo-controlled, multicenter trial. Digestion. 2004;69:45-52. Tominaga Y, Nakagawa K, Mae T, et al. Licorice flavonoid oil reduces total body fat an visceral fat in overweight subjects: A randomized, double-blind, placebo-controlled study. Obesity Research & Clinical Practice. 2009;3(3). Curb is a hidden secret! For the price and what it does, I recommend everybody to at least try one bottle. Then when you see it work, buy one for a friend:) Thanks VH for helping me reach my health goals. Natural product, great results! I took it while on my paleo diet and it really helped me to actually be able to maintain my diet. So far this has helped me as I am on the paleo diet and often get some serious cravings for carbs and sugars. I may not have a six pack yet but I'm definitely getting there. Finally I'm able to diet without feeling depressed and angry. Curb really got me through those first few tough days on my diet.